In celebration of their tenth anniversary, Dover Street Market have called one some big-named friends to collaborate with, including Vans, Palace Skateboards, and Wes Lang; now it&apos;s the turn of the big daddy of Belgian fashion, Walter Van Beirendonck, to throw his hat into the ring. 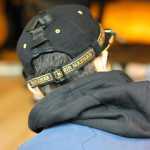 The Belgian designer has had Yeezy himself attend his shows, and can boast having the likes of Raf Simons and Craig Green intern for him before they became fully-fledged designers, which basically makes you big in the damn game, as far as we&apos;re concerned. 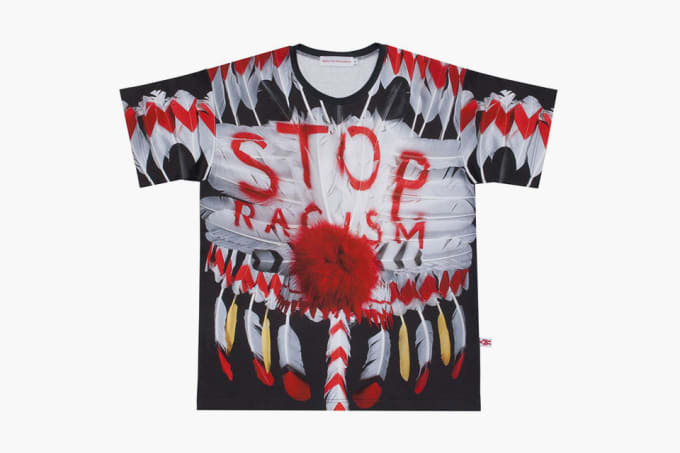 The collaboration features ethical slogans, with the T-shirt&apos;s front carrying the image of a Native American headdress emblazoned with “STOP RACISM” and the back carrying a “FIGHT FOR FUTURE” slogan. 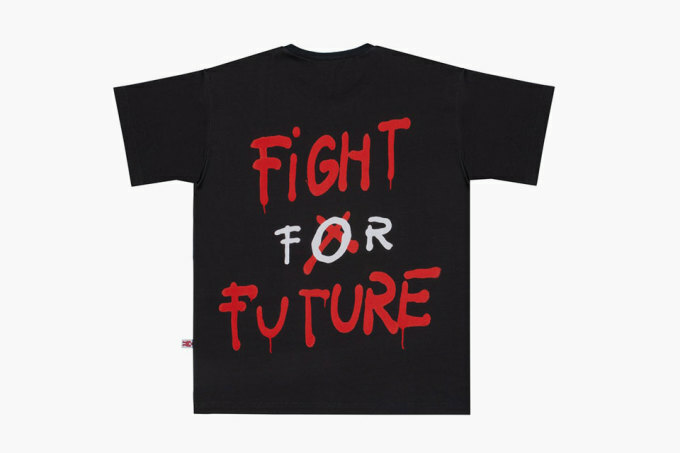 The T-shirt comes in both short and long-sleeved iterations, and is available from the Dover Street Market webstore now.